Popular family vloggers Cole and Savannah LaBrant, who frequently harness their platform to encourage abstinence before marriage and other conservative values, are feeling the heat after allegedly staging a wildfire evacuation in order to drum up views. 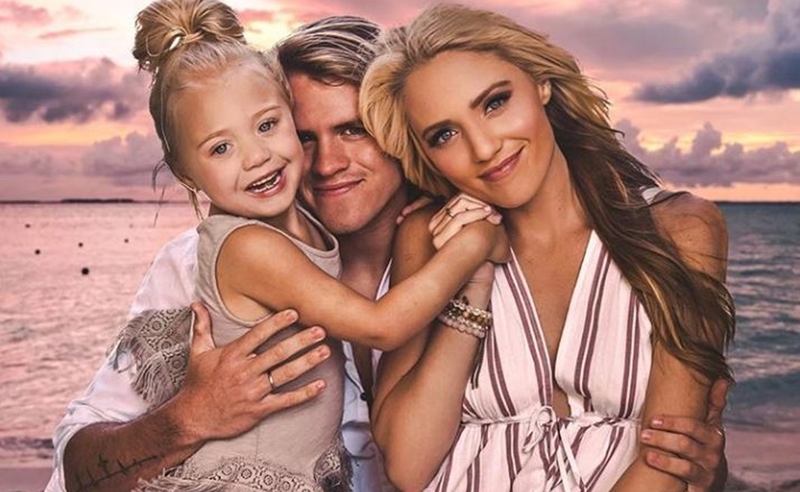 The couple, who count 6.8 million subscribers on their Cole & Sav channel — which they share with five-year-old Everleigh, Savannah’s daughter from a previous relationship — posted a vlog on Aug. 13 titled We Left Our House Because Of Fires in California. That was in reference to the Holy Fire in Orange County, BuzzFeed reports, which burned 22,000 acres and 18 homes, but which is currently 91% contained. In the vlog, Cole tells viewers that the Ladera Ranch, Calif.-based couple “just got an evacuation thing,” and then they drive to pick up Everleigh from her grandmother’s house to drive to up north so she “doesn’t have to be scared anymore,” Savannah assures the little girl. Cole tells viewers that “Everleigh’s number one fear is fires,” though she promptly falls asleep in the car. The rest of the vlog features the family on vacation in San Francisco — which also coincided with the two-year anniversary of when Cole asked Savannah (who is now pregnant) to be his girlfriend. Subsequently, however, neighbors of the couple came forward to say that their area was never evacuated — a fact that BuzzFeed confirmed on the National Wildlife Coordinating Group website. “I just think it’s really sad they would exploit a situation that’s as serious as a fire that so many people were evacuated just so they could get more likes or more hits on their channel,” one of the LaBrant’s neighbors told Fox 11. The couple subsequently changed the thumbnail of the video — which formerly saw the three of them with worried faces as fires raged in the background — though they have yet to respond to any of the criticisms publicly.